Our current paint production capacity at out factory in Bhiwadi, Rajasthan is 4500 MT per year. The company has the capacity to fully service road marking projects and production is scalable as required. Our manufacturing plant and production process has been set up to minimize labour requirement making our operations extremely efficient. We have a dedicated team for the manufacturing and application of Road Marking Materials and Paints. Our representatives have travelled to the UK to get on the job training and subsequently become internal trainers for the application team. The team uses applicators which have been developed internally so as to best suit Indian conditions. We continuously work on improving our applicators, and have been able to improve efficiency and quality of application. 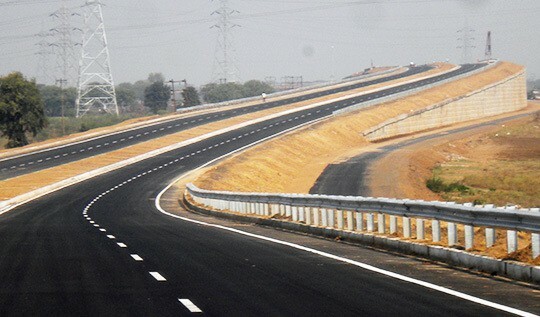 The company has applied marking for various Public and Private Sector enterprises including P.W.D, NDMC and NHAI. We have a vast range of application machinery available with us and undertake all kinds of road safety projects as per requirement of our customers.